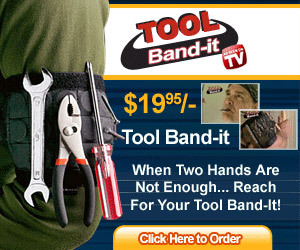 Tool Band-It is a rugged, flexible, lightweight. magnetic armband that keeps your tools and work pieces within easy reach. Powerful, Rare Earth Magnets securely hold everything from screws to wrenches. Get a free bonus head lamp today with your purchase.